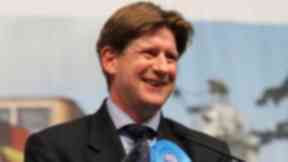 Alexander Burnett accused of failing to properly declare campaigning costs. Complaint: The Electoral Commission said it was a matter for the police and not them. Conservative MSP Alexander Burnett has been reported to Police Scotland over allegations he failed to properly declare spending on his election campaign. 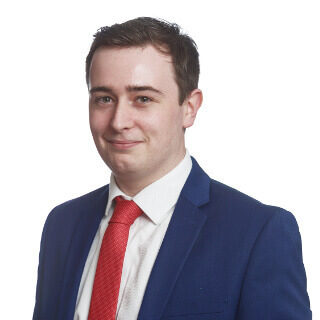 Burnett was elected to Holyrood in May after winning the Aberdeenshire West constituency by 900 votes after the Conservatives increased their vote share in the constituency by 17%. The SNP allege Burnett failed to properly declare accommodation and campaigning costs linked to the Banchory Business Centre, which he owns. A complaint was handed to the Electoral Commission by the SNP but the body advised the party the allegations were for the police and not them. Earlier this month, Burnett was reported to the public standards commissioner by former SNP MSP Christian Allard. Allard alleges the Conservative MSP failed to hand a written declaration of interest to Holyrood's parliamentary clerk before questioning a property development in his constituency while owning £5.5m worth of shares in a rival firm. The Scottish Conservatives dismissed the involvement of the police in the matter. A party spokesman said: "The SNP tried the Electoral Commission first, was told it'd gone to the wrong place, and is now trying the police. "It's clear the Nationalists are engaged in a nothing more than a politically motivated fishing expedition." A spokesman for the SNP said the matter is serious for both Burnett and Conservative leader Ruth Davidson. He said: "The fact that these allegations have now been reported to Police Scotland, in line with the advice of the Electoral Commission, underlines the seriousness of this matter for Alexander Burnett and Ruth Davidson. "As such, it is only right that the police are now given the opportunity to fully investigate any potential breach of election rules." A Police Scotland spokeswoman said: "Police Scotland has received a complaint in relation to election expenses and it is under consideration."